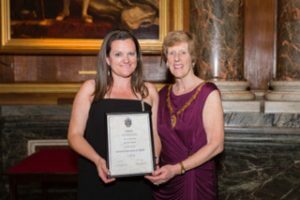 She received the award at CIWEM’s annual dinner on 17th May at Draper’s Hall in London. Nicci was recognised for the contributions she has made in the field of water efficiency and customer engagement over a 20-year career in policy, regulation and campaigning. She is influential across and beyond the water sector, and continues to drive innovations and new partnerships and solutions.